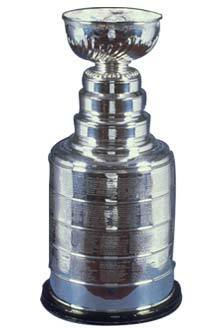 The last organization to win four consecutive Stanley Cups was the New York Islanders (1980-83). Toronto GM/coach Punch Imlach savors the moment (1962-63 season). The chalkboard says: "No Practice Tomorrow."